Sidharth Malhotra and Alia Bhatt ready to get committed? Sidharth Malhotra and Alia Bhatt ready to get committed? 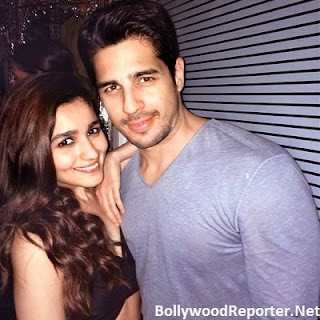 Home > sidharth malhotra > Sidharth Malhotra and Alia Bhatt ready to get committed? Sidharth Malhotra and Alia Bhatt ready to get committed? Sidharth and Alia seems to be taking their relationship to a new level, Though they're yet to open up about the same in public but, we hear that recently Alia met Sid's parents! Yes! that's true it happened on evening of August 14th. Sidharth and his parents were spotted at the restaurant of a five-star hotel, where Alia joined Malhotra family and spent some time and also dined with them. It was a secret meeting and there are no pictures to validate but, the news of Alia meeting Sid’s parents has itself got us excited to no bounds. Are the two finally ready to commit? Earlier to this there were also reports of Sid frequently staying over at Alia’s place. However, when Sidharth was recently asked, if there is any truth the tale of his love affair with Alia, the actor amusingly said that rumours don’t define his relation with her. He believes he is in a profession that warrants them to make people believe things. He also adds that whatever they say can’t get misconstrued at times because they are professional liars!